Has your Child seen an Optometrist? When was the last time you took your child to an optometrist for an eye test? 25% of children in the classroom have a vision problem (1)? 80% of children in learning support also have a vision problem (2)? And 80% of all school tasks are based on vision (2)? It is important for any vision problems to be diagnosed and treated as soon as possible, as problems with eyesight can affect your child’s education and development. Many slow readers, for example, may actually have neglected vision problems. However it is not just school achievement which can be impacted. Personality, posture, and adjustment to life are all closely integrated with vision development. While correcting a child’s vision problem may not automatically improve school performance, it can remove an obstacle that was preventing the child from achieving his or her potential. Just like routine dental check ups, children should see an optometrist regularly for eye testing to detect any vision problems. When Should Children See an Optometrist? You can take your baby to the optometrist from as young as when they are 6 months old, and we recommend that your child see an optometrist every year after that, throughout their education and working life. However, it is particularly important for children to have their eyes tested just before starting school as poor vision may significantly affect their learning. Children’s eye tests are best conducted in the morning, when they are not so tired. Some of the most common signs of children’s eyesight problems are listed below. At Aphrodite Livanes, our behavioural optometrists are trained to detect not just problems with eyesight, but also with how the eyes and brain are interpreting that information (3). When working with children, we use a range of age appropriate, standardised clinical testing procedures. Vision Therapy for children of all ages is just one of the services we provide at our clinic. Treatment for any vision problems may include the use of specially designed lenses and prisms, along with instructions related to visual hygiene. If vision therapy is required, parents are supported with helpful instructions, as well as specially designed computer programs, and suggestions of toys and games, so that treatment is easier to incorporate into your family life. Spectacles may also be prescribed, and we carry a large range of frames specifically for children. On the day of your child’s appointment please bring in your Medicare card and relevant medical information, eg details of your GP, referring specialists, spectacles (if your child already has them), and private health fund (if applicable). You may also want to print out and complete the attached Children’s Questionnaire. You can read more here about some of the most common children’s vision problems, and how we can help. 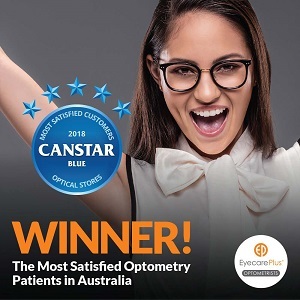 If you would like your child to see an optometrist experienced in paediatric optometry, please call us on (07) 3824 1878, or complete the appointment booking form. ACBO – What is Behavioural Optometry? Children's eye tests start from 6 months of age.